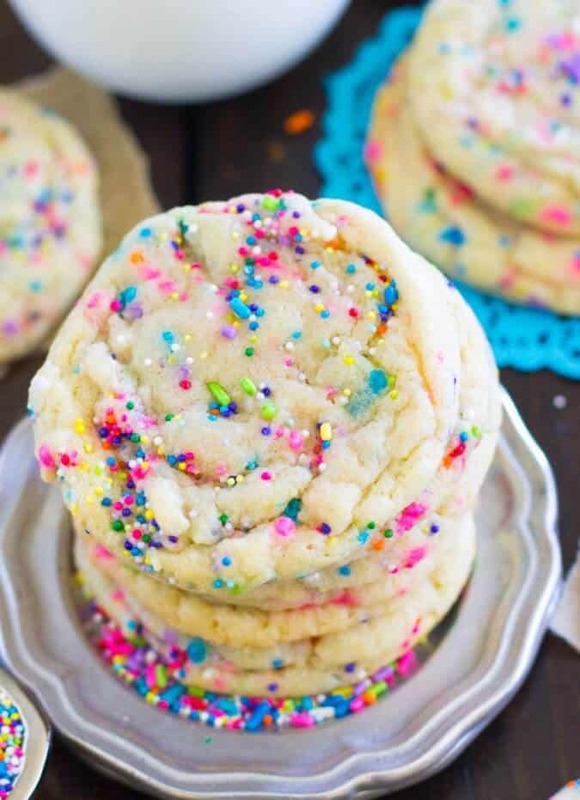 Soft, chewy, buttery, sprinkle-packed funfetti cookies made completely from scratch — no box cake mix required! Typically, I like my cookies with lots of chocolate. I may be swayed, however, if there are sprinkles involved. 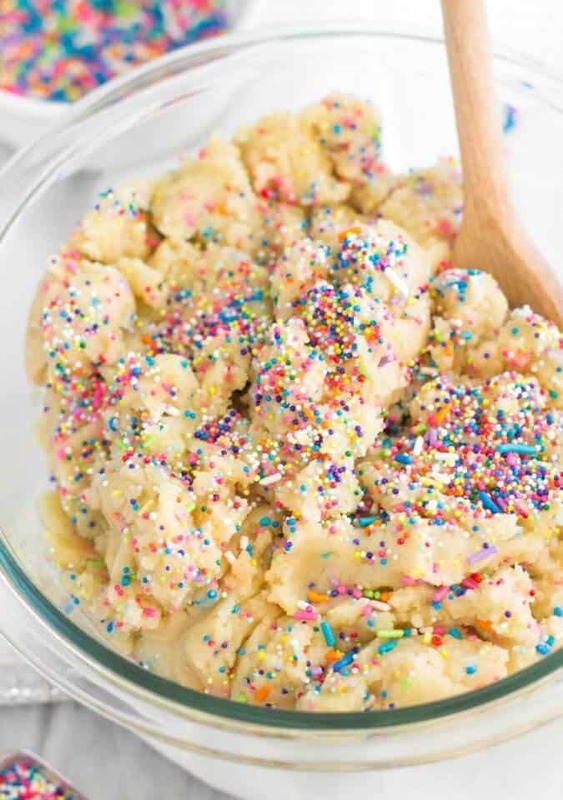 This is probably not surprising to you if you’ve been following Sugar Spun Run for a while, considering I have approximately five million sprinkle/funfetti recipes in the recipe index (I should really give it its own category over there… I even have my own recipe for homemade sprinkles). 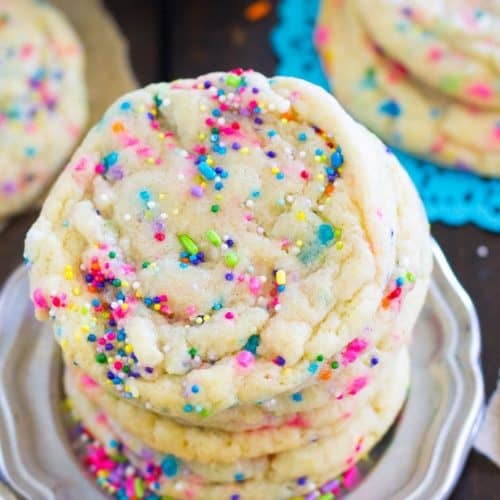 Even my sister asked me the other day when I was going to get tired of making Funfetti desserts. I’ve just been on a cookie kick, recently. It’s all I seem to want to bake these days (so yes, you can expect quite a few more, albeit less colorful, cookies in the future) and all manners of chocolate and other cookie dough add-ins have been flying around my kitchen. 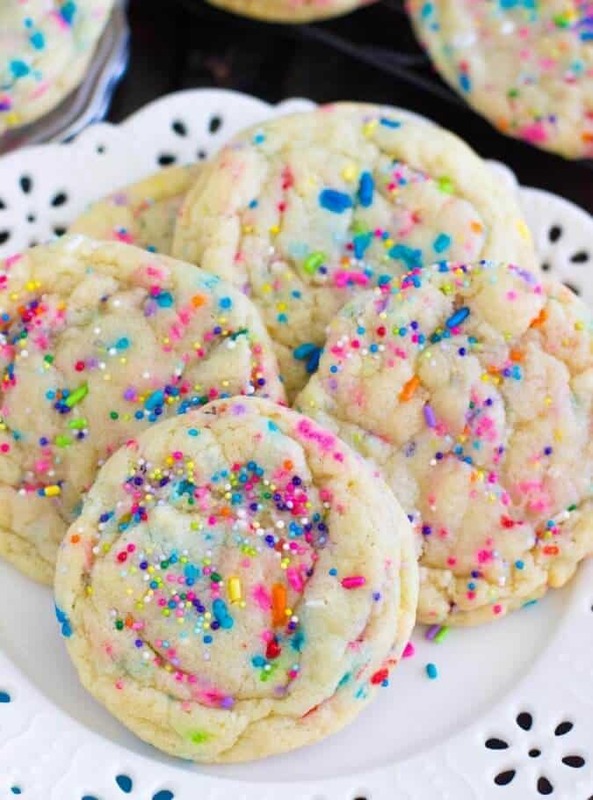 But over and over again, I gravitate to the sprinkles. They’re simple and just a little sweet. 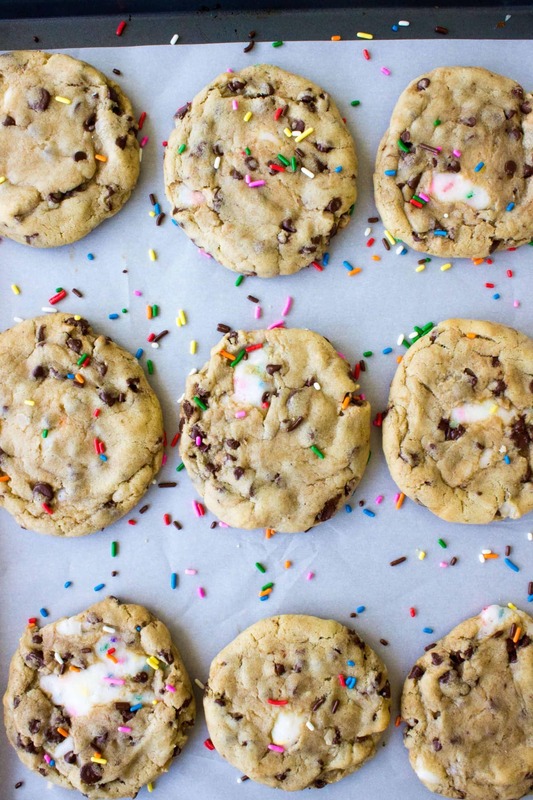 The nonpareils add a whole new addictive dimension of texture to each bite. Perhaps most importantly, they’re colorful and just fun to make. 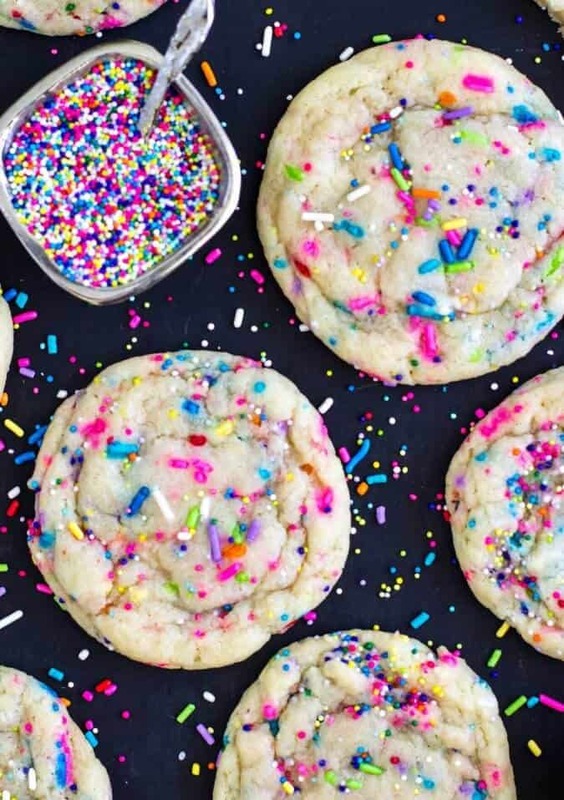 These funfetti cookies are made without a mixer — the melted butter makes it easy to mix everything by hand (and you don’t need to worry about creaming the butter and sugar, that way). Of course, there is a catch, and you will need to chill them for thirty minutes before popping them in the oven. I promise you, it’s worth the wait. 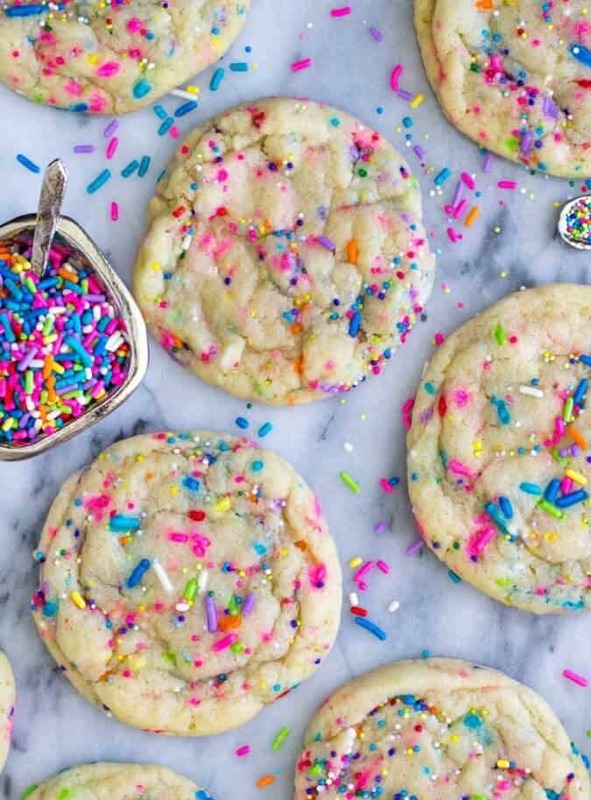 Chewy, colorful funfetti cookies made from scratch! In a separate bowl, whisk together your flour, cornstarch, baking powder, baking soda, and salt. 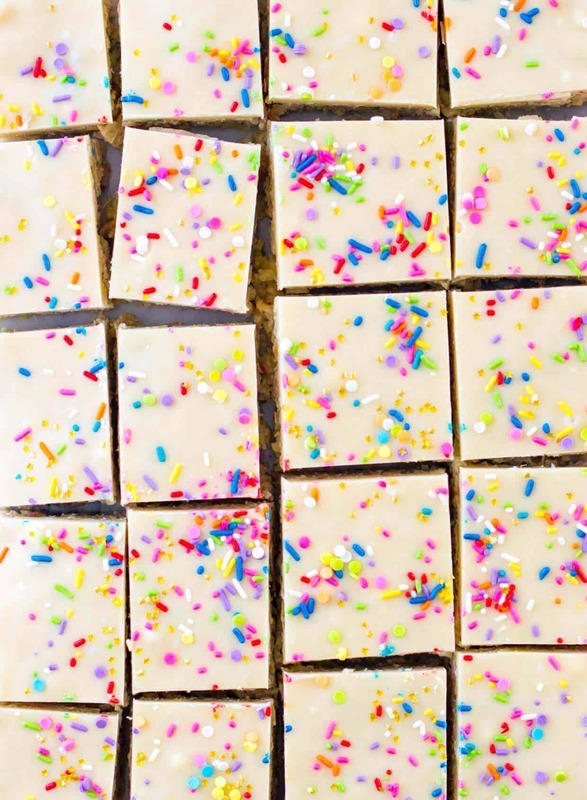 Stir in sprinkles and nonpareils. 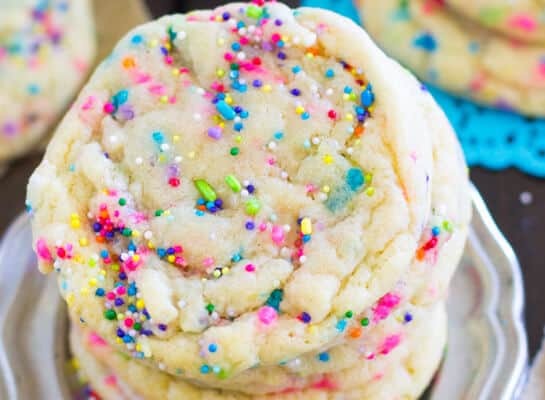 Once dough has chilled, scoop (and roll, if you want round, pretty cookies -- not required) into 2 Tbsp-sized balls. Place at least 2 inches apart on cookie sheet and bake on 350F for 12 minutes (cookies will still seem slightly underdone -- this is fine and helps make them nice and chewy; they will continue to cook on the cookie sheet as they cool. Great recipe! 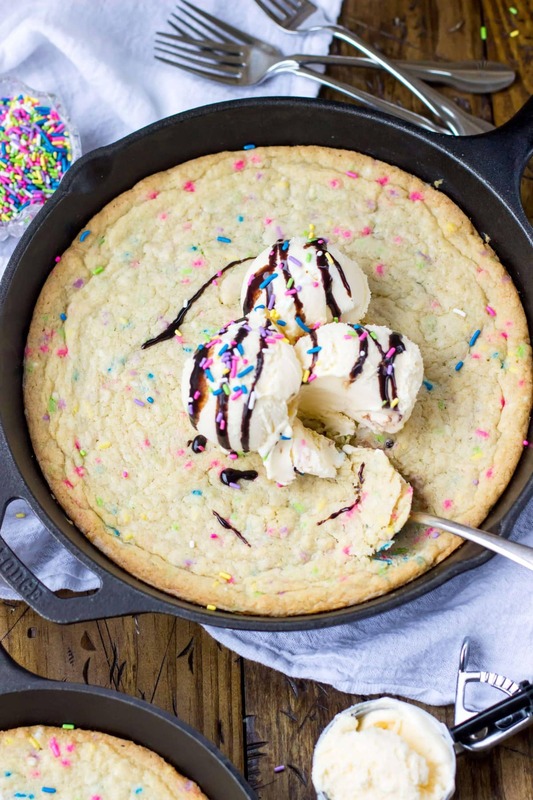 It would so be delish with white chocolate chips. I didn’t use nonpareils and substituted with sprinkles. Turned out good. Is the 1 cup butter measured before melting or after? Before would be the easiest way to do it, one cup is two sticks of butter. Hi Connie! So I just tried this on two different computers and had my husband try it too and we can’t seem to replicate this problem. Could you try it one more time and let me know if it works for you? I definitely would want to get this fixed but I can’t seem to find the problem to know what to fix. Sorry you are having trouble with this! Made these half a dozen time and they’re always great! I usually add extra sprinkles just because I like the look and sometimes will put royal icing on top for a bit of an extra treat. The flavor of these were so good! But ours baked up really flat.. is that how they should be? They shouldn’t be really flat. They may have needed just a little more flour. EVERONE loved these – better than Milk Bar (in my opinion!!) will be making again! Would you be able to half the recipe and if so would every single ingredient just be divided? Is it 1 and 2/3 cup sugar ? Can you use raw sugar instead of white? This recipe was awesome. I just added a tsp of almond extract and white chocolate chips. I’ve made these twice now and everyone loves them! I’m so glad they were such a hit! Can you use salted butter? I don’t have any unsalted butter on hand. Yup, just cut the salt called for in the recipe down from 1 tsp to 1/2! How long are these good for? If I make them Thursday night will they be good through the weekend ?